Some places just get it. They understand that guests prefer be treated as friends and not as visitors. On a recent visit to the Margaret River wine region in Western Australia I experienced all levels of hospitality. Prior to our visit I had reached out to various wineries to book tours and visits. Most of them offer only one scheduled tour on Saturday morning and some don’t even run tours in the weekends. 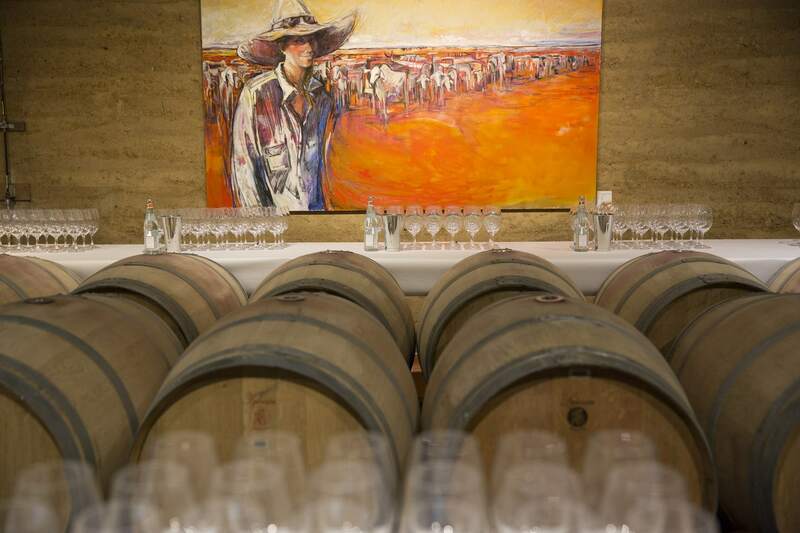 Even the largest wineries are relatively small by international standards and the tours are usually ran by the very knowledgeable staff in the Marketing, Hospitality or even Winemaking departments. As a guest at such personal and often family-run Estates genuine gestures of passion and love for the wine industry and the land always go a long way to leaving a mark on the travelers mind. This was the case at Cape Mentelle. Originally started by one of the pioneer winemakers in the region, Hohnen, and later sold to Moet Hennessy, Cape Mentelle is a relatively small operation ran like a modern production house with a strong heart for the region and the wine industry. With a production oscillating around the 1,700 tonnes a year. We arrived at 11,30am to be greeted by Rob, the Cellar Door Manager, and right from the start we knew we were in capable hands. Rob was possibly the proudest person we talked to in our 3-day tour of the region. His detailed-oriented explanations and his passion about the intricate story of the region and the technicalities of winemaking in the area were contagious. We walked along the oldest vines, planted right in front of the Estate’s parking lot and surrounded by a fence designed to keep the cattle in during the fertilizing month-long grazing period. The fences were also built with wildlife corridors in mind. Half way through our walk along the fading greenery of Autumn we spot a kangaroo and a little joey at the end of a row. They are relaxing, intently staring at us like only Kangaroos know how, and giving us the most pinturesque of shots. Rob shares the origin of the region, story that we will hear a few more times, told and retold by every passionate winemaker in the region, particularly from the founding four wineries: Cullen Wines, Voyager Estate, Leeuwin Estate and Cape Mentelle. He speaks with the involvement of somebody who truly does what he loves best. Margaret River wineries share a lot of the procedures and techniques among themselves. Cane pruning is common, alternating every year the branches that are being pruned as opposed to the usual horizontal pruning methods. More time-consuming but believed by the regional viticulturists to produce richer grapes. Several of the vineyards are seeded with vegetables high in carbon dioxide which will be both food for the herds of sheep that will be released in the vineyards soon and strong fertilizer to the soil. As is common in many a New World wine region vineyards have water systems in place should the summer be unexpectedly dry. 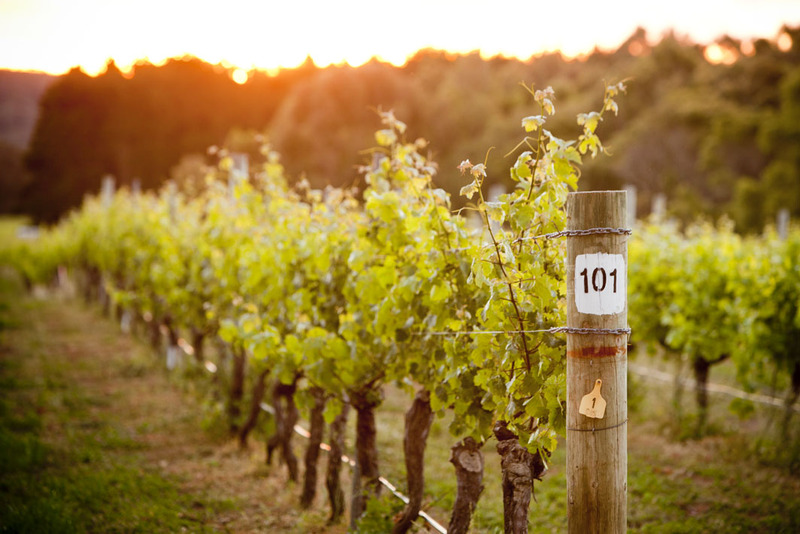 Margaret River is known for having consistent and predictable weather always within the necessary ranges but the viticulturists are extra careful in such small Estates. Gladstone, considered by many the region’s father, anticipated that the soil of the Margaret River would be well suited for Bordeaux varieties. The soil is made of gravel and granite, both poor terrains to grow vegetables or other farm produce but perfect for vines. Its metal traces, proof of the region’s former mining glory, do not provide any nutrients to the vines but allow for the water and organic fertilizers to drain fast to the lower levels of the soil. The vines need to struggle to reach these lower levels, growing strong roots and providing valuable bunches for wine making. We receive a masterclass in wine making and viticulture under the warm sunrays at the end of summer. With clear origins in mind and an understanding of what makes the Margaret Region area such a favorable terroir for growing vines we return to the cellar to tour the winery. Seen as the harvest season ended 3 weeks prior the winery is starting to go into lethargy. The machinery, clean and tidied away, is one of the most advanced and modern set we will see. 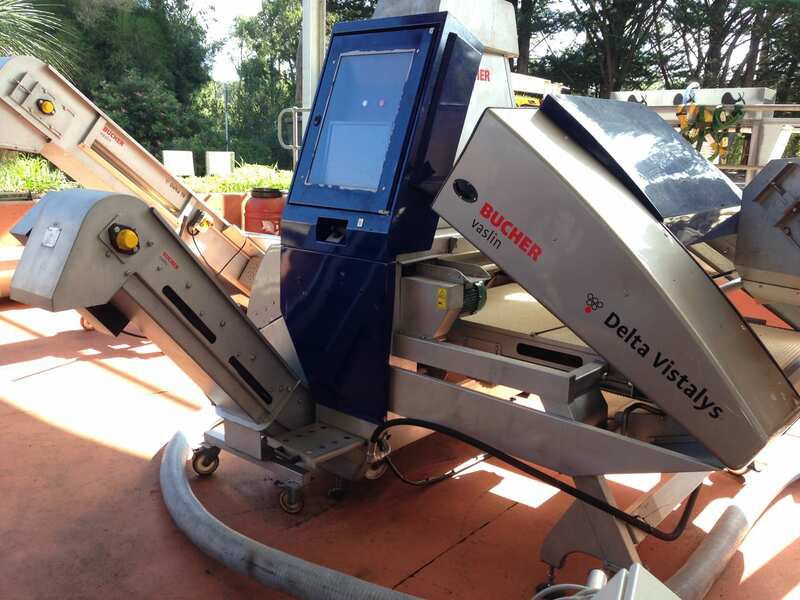 In particular, Rob shares the details of an impressive machine I have never seen before: an optimal berry-sorting machine. Capable of cleaning the bunches from uneven grapes, discolorations or any matter other than grape at a high speed this is a perfectionist’s dream. The Cellar Door and the Cellar are all in a compact area in the Estate. The Cellar Door is preceded by a large green lawn where Cape Mentelle projects movies during the summer months. A few large old trees provide shade. The trees are audited every year to ensure that they are safe for everyone. Rob reiterates they projected 100 movies during the last season. Other than that, the cellar does not have a restaurant. What better way to enjoy a relaxing evening than with a bottle of wine, casual food and a set made of green plush grass. Locals do know how best to enjoy life. Amongst the steel tanks we get the chance to taste this year’s young wines. Fruity, as they are half way between grape juice and wine, I find the cloudy concoction quite pleasing. Although reds in this state are never good to drink (too chemical tasting and astringent) very young whites are already quite refreshing. The tour is completed with a degustation and wine pairing in the cellar. The table has been set up between the railings used to wash the barriques. It is an eerie and inspiring setting. Through the glass wall we can see the back of the cellar door and all the visitors tasting wines. For a Saturday morning, like at all the other wineries, there is a remarkable small amount of visitors. 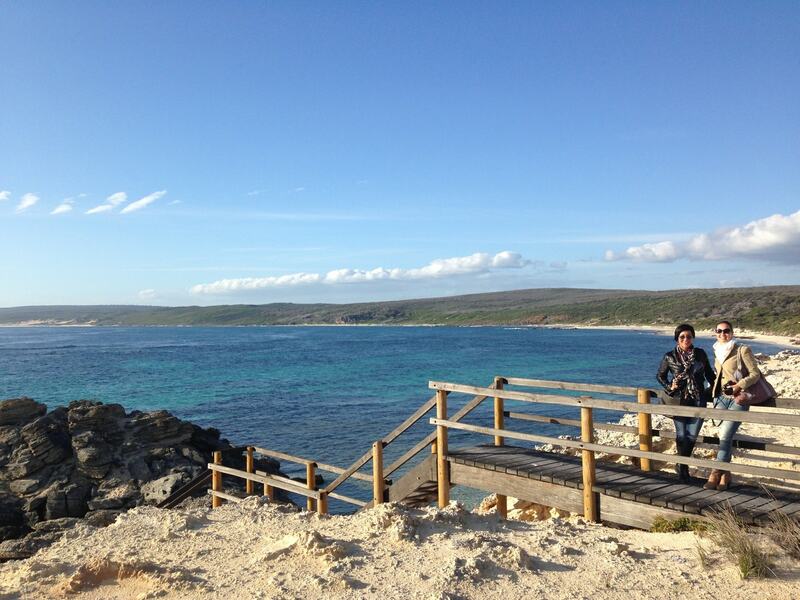 Over 3h away from Perth Margaret River is mostly enjoyed by the locals and a few visitors. 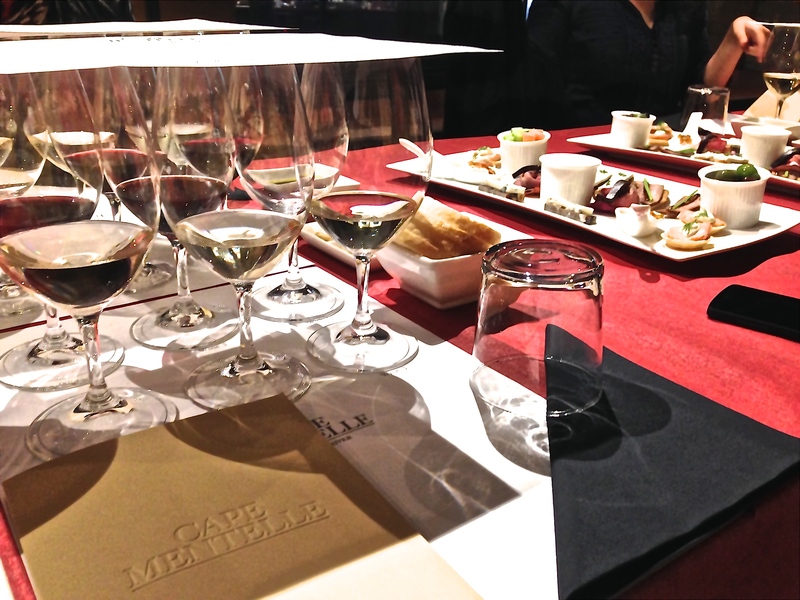 We sit down to an incredible spread of wines and morsels of food for pairing. Cape Mentelle, and Rob, still our host, has taken the concept of wine and food degustation one step ahead and made it a truly interacting and educational experience. We have plates with bread, olives and olive oil to snack on. Some vegetable sticks for healthy vitamins. Rob insists we need to eat them all but we can’t touch anything else until he is back. We have a booklet with the list of what we are sampling as well as the tasting notes for the wines. There is a set of six wines in front of us, three reds and three whites, and the same amount of tiny tapas on a large plate. There is also a bowl with raw cashews that we are told are for palate cleansing in between tastings. Rob warns us that if we are drinking all the wine we will be about 80% above the legal drinking level so I have to pace myself while my friend Marisa can down all the wines, the joys of being designated driver! The game goes like this. With the tasting notes, food and wines in hand we are to take a guess at the best pairing, one by one, with each of the foods. Then taste the wine, holding the glass properly, smelling first, fully wetting our mouths and then swallowing. We can then finish the food. In some of the cases, the same food combination can go well with two of the wines so we are given two portions. The setting and the entire process is theatrical and full of love. Rob gives us clear instructions, adds a touch of laughter and anecdotes and we get to provide our guesses and our opinions as to the best matching. We don’t all agree with the suggested pairings, after all, wine is a matter of opinion. The best wine is always the one you like. We have time to enjoy the surroundings, take in the food, take notes and drink the wines. Rob even offers to let us taste the port wine that is available at the cellar door and, if we wish to have more wine we can simply ask. As tours go nothing beats the stories shared by a true passionate lover. As we are winding down Cameron, the Estate Director, comes to greet us. In the middle of the animated chatter we take a seat on the plush sofas back at the cellar Door and we get sucked into the region’s tales and evolution. Cameron is friendly, hospitable and as passionate as Rob. So much so that he offers to take us down to Cape Mentelle, the real cape, to show us the beach and the rocky coast. Luckily we take him up on his offer. 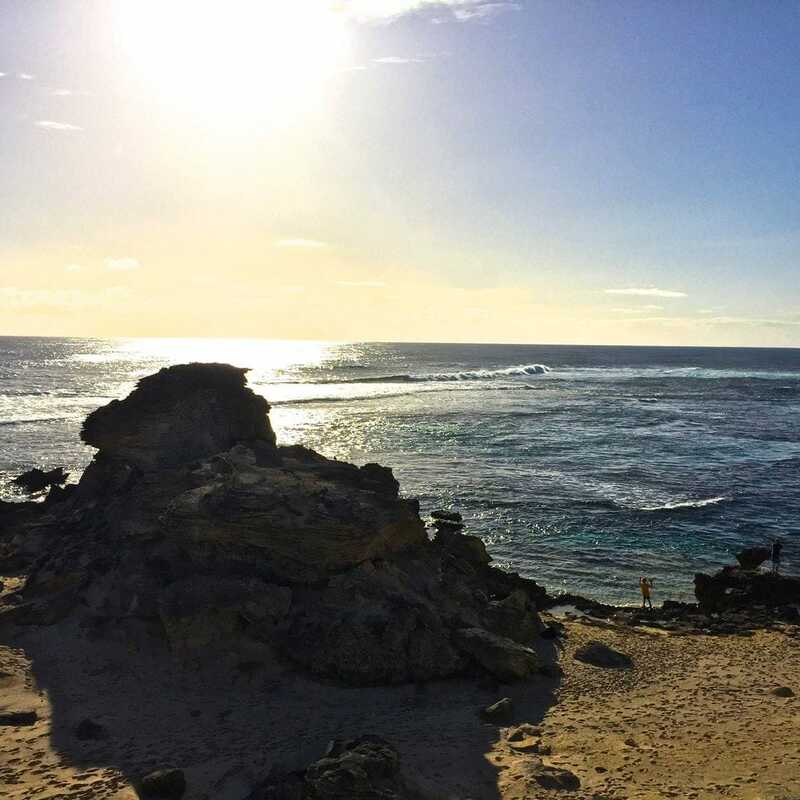 This proximity to the coast is what gives the Margaret River and the Golden Triangle vineyards that Cape Mentelle occupies, such a temperate climate. The sea always maintains a stable temperature providing the right conditions for superb vintages. We navigate sandy paths to the Cape and are met with the stunning views over the beach and the beautifully wild nature of the area. Locals fish their dinner, surfers catch waves and families with children chill under the setting sun. This is as idyllic a view as one can get. Staring at the rugged turquoise waters and the lowering sun I am reminded of the few people I have recently met who swore by Western Australia’s beauty and remoteness. The untouched nature, the clean landscapes, the developed infrastructure, the stunning coast. Why did it take me so long to come to this part of the world?